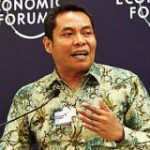 The problem stemmed from the small fraction involving locals living in a particular territory gradually triggered calamity for Indonesia as a whole living compartment. 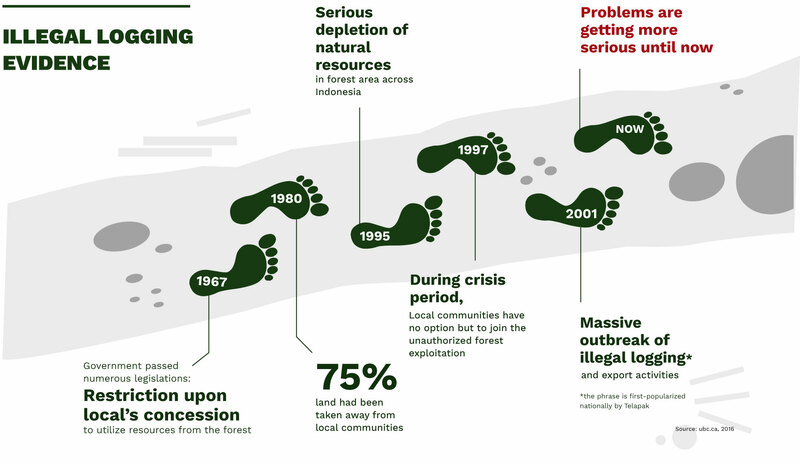 The former deforestation issue due to the widespread of illegal logging had given a rise to economical downfall and natural disasters. On the other side of the theory, we knew that locals were not only the main actors involved in those current living circumstances. In fact, the communities coming across multidimensional layers were worth considering for. Departing from the aforementioned problems, we noticed that it was not only forest which served as a protective grip to provide natural resources in a perpetual manner, but the intact ecosystem in a greater size of integration acting as an inseparable component. Hence, we envisioned that the direction to committing a sustainable livelihood must cover all kinds of the associated sectors. We then spanned our main concerns and interests to build a long-lasting foundation for the forthcoming generation based on sustainability principle with the expansion on farming, plantation, fisheries, ecotourism, and renewable energy sectors. We hope that it will be more than enough to sustain more and more generations living on earth. 20-years of experiences on developing community-based organization in forestry and marine sectors. “FOR ME, NATURE SERVES AS THE CORE SUBSTANCE OF LIFE.